Construction scaffolding has come down at 10 Sullivan, the 16-story tower from Property Markets Group and Madison Equities. 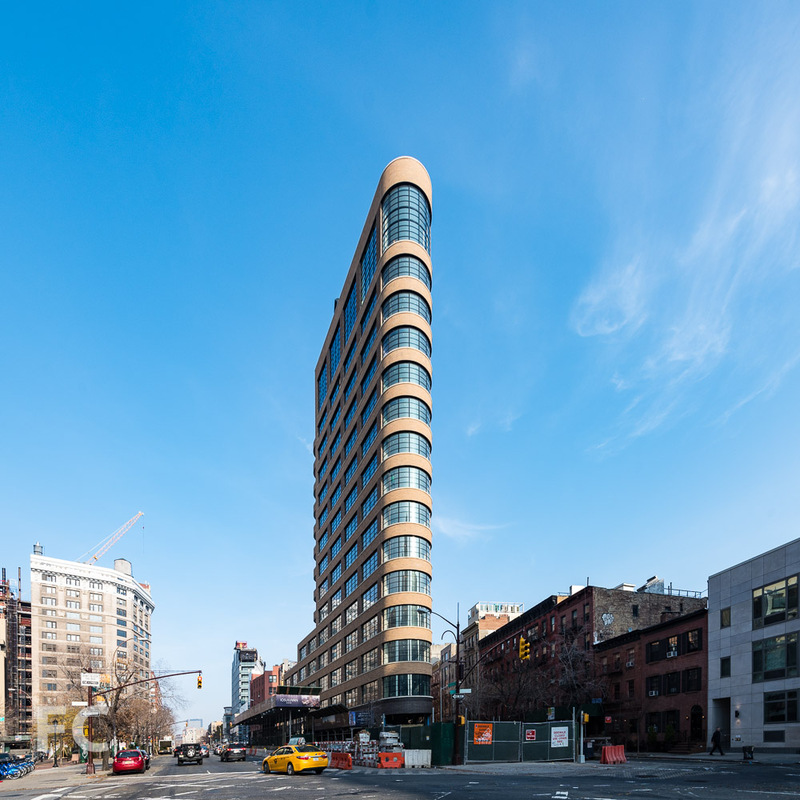 Located on the boundary of the SoHo and emerging Hudson Square neighborhoods, the tower occupies a triangular shaped site at the intersection of Avenue of the Americas and Sullivan Street. Looking north along the Avenue of the Americas. The tower is designed by Cary Tamarkin of Tamarkin Co. and Montroy Anderson DeMarco with a nod to the industrial past of the neighborhood. Black and blonde Norman brick clad the exterior along with industrial style, divided light windows. Details such as corbelled brick piers provide texture and interest to the facade. Inside, the tower contains 19 residential units that each occupy a full floor, with the exception of the duplex penthouse on floors 12 and 13 and the four floor penthouse on floors 14 through 16 and the rooftop. Close-up of the west facade. Looking up at the west facade. Also included in the development are four, four-story townhouses to the north of the tower. Scaffolding still shrouds these 4-bedroom units, which lags the progress of the tower. Looking south along the Avenue of the Americas. Looking south along Sullivan Street. Looking up at the east facade. Architect: Tamarkin Co. and Montroy Andersen DeMarco (MADGI); Developer: Madison Equities & Property Markets Group (PMG); Program: Residential; Location: SoHo, New York, NY; Completion: 2016.